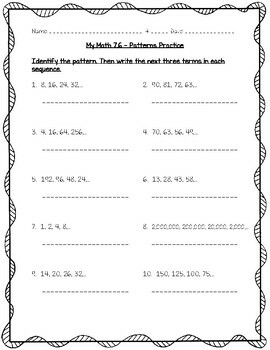 Included in this pack are 9 worksheets on all the lessons in the fifth grade My Math book for Chapter 7. 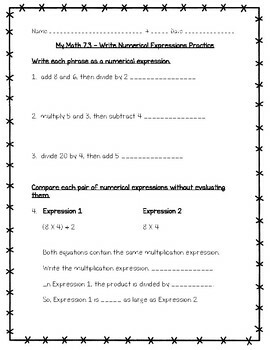 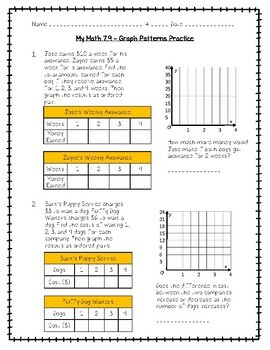 These can be used as a quiz, formative assessment, homework, or just extra practice! 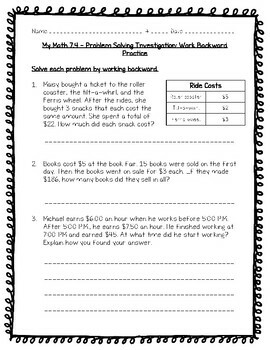 Answer keys are included for each worksheet.